When Rynn and David Caputo got engaged during a trip to Italy, the couple talked about their life goals and realized their corporate jobs, although established, were unfulfilling. Against the backdrop of Tuscany, they decided that shortly after their wedding, they would leave their jobs, move to Italy, and attend culinary school together. “I would say our parents were concerned,” recalls David Caputo. 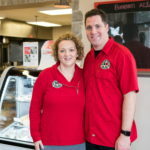 Today, the couple’s personal and professional lives are intertwined with Italian flavor: They founded Caputo Brothers Creamery, Spring Grove, Pa., in 2011, a direct result of their culinary studies including traditional Italian cheesemaking. 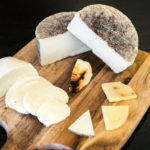 During the past seven years, the mozzarella, ricotta, and other cheeses produced by Caputo Brothers have made a name for themselves, earning their way into some of the top restaurants in Central Pennsylvania and beyond. You could say the couple’s parents have “come around.” David and Rynn built an addition onto their Spring Grove home so that Rynn’s parents could live with them; David’s parents are in the process of moving from his native New Jersey to Spring Grove. They are all actively involved in the business, and “we are so blessed,” says David Caputo. As you might suspect, he’s of Italian heritage. So who are the Caputo brothers, you might ask? They’re Giovanni and Matteo, the couple’s 9- and 8-year-old sons. On a cold January morning, about 25 people gathered at Caputo Brothers Creamery, located on Spring Grove’s Main Street, for an Italian Cheesemaking Tour. 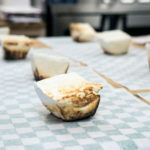 The two-hour session, led by David Caputo, included demonstrations, tastings interspersed with talks, Q&A, and a behind-the-scenes tour of the 8,000-square-foot facility. While some attendees hailed from Adams and York Counties, many had traveled an hour or more. The main draw? The chance to learn more about the country’s only cheesemaker producing naturally fermented mozzarella. Capomozz (“mozzarella boss” in Italian), sold in frozen, one-pound bags, is Caputo Brothers’ primary product. 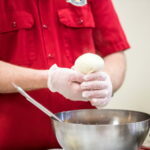 During the tour, David Caputo demonstrated how the cheese curds, placed in a bowl with warm (190-degree) water, within minutes, can be stretched and formed into a traditional mozzarella ball. 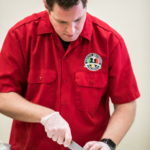 As David Caputo sliced the warm mozzarella, attendees raved over the creamy samples. “Compared to other mozzarella in the U.S., ours is tangy due to real acidity, and more flavorful due to our milk from heritage cow breeds—the fat content is greater which gives the cheese a more buttery finish,” says David Caputo. From humble beginnings in a home-based creamery, the couple produced 40 pounds of mozzarella sold weekly in area markets. They moved operations to Apple Valley Creamery, then expanded to their current Spring Grove location, employing a dozen workers. In 2017, they produced more than 100,000 pounds of cheese and broke $1 million in revenue for the first time. Seven staple cheeses, plus a few seasonal varieties are produced following traditional Italian methods. Raw milk, in 300-gallon batches, undergoes low temperature pasteurization then moves to a cheesemaking bath where cultures are added. 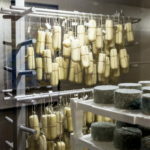 Curds begin forming as a result of the bacteria, then the curds are cut, either frozen and packaged into Capomozz or stretched into cheese, placed in a salt brine, and hung in “the cave”—storage maintaining the right mix of temperature and humidity. 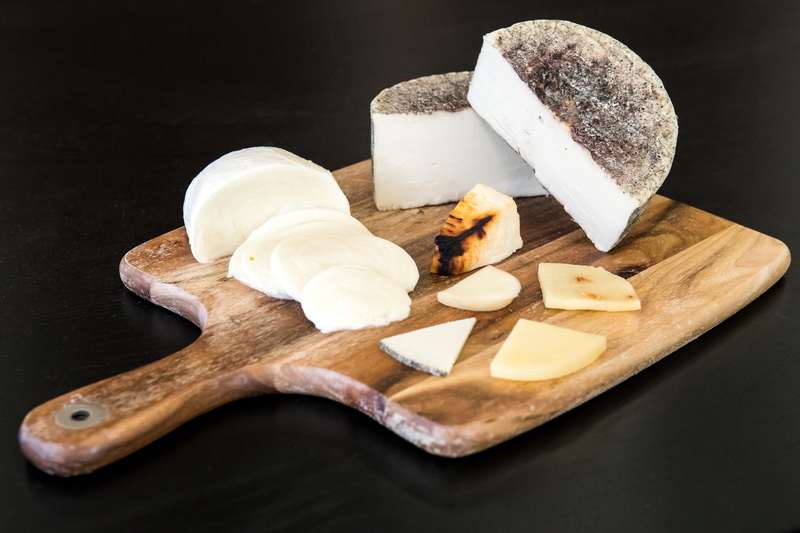 All Caputo Brothers Creamery cheeses are relatively young—aged in less than 60 days. In contrast, most American cheeses, rather than fermenting, are acidified with citric acid for 30 minutes. Four members of the Weiss family traveled to the creamery from Schuylkill Haven, Pa., to enjoy a daytrip organized by husband and wife Jesse and Kelly. “The mozzarella was amazing; it was so flavorful, it can’t compare to anything I’ve ever tasted,” Kelly Weiss says. But the true “taste test” perhaps came from Nunzio Fiorentino of Jarrettsville, Md. Born and raised in Naples, Italy, through the age of 16, the now-retired electrical technician says he enjoys Italian-related hobbies. “He makes wine, ages meats such as salami, makes his own pasta,” says his wife Dallas Fiorentino. “And now, he’ll be stretching his own cheese,” she says with a laugh. Fidler & Co. Craft Kitchen, Biglerville, Pa.
Artisans & Oak, The Markets at Hanover, Hanover, Pa.
Revival Social Club, York, Pa.
Caputo Brothers’ fresh ricotta, baked in a hot oven until the crust becomes a deep golden brown with a crumbly center, creates a wonderful appetizer. Preheat your oven to 500°F. Oil the bottom of a baking tray. Turn over the basket of ricotta onto the oiled tray (removing the basket). Bake in 500°F for at least 20 minutes, or until the ricotta reaches a golden brown color. Top with your favorite jam or chutneys and serve warm or at room temperature. Turn the basket of ricotta into your food processor. Add 1/4 cup powdered sugar and a pinch of salt. Blend for several minutes until shiny and smooth. Pipe into cannoli shells or serve topped with chopped chocolate and/or pistachio!